Noah Weisberg, the fine young actor playing Willy Wonka in the musical version of Charlie and the Chocolate Factory, has a tough gig. He has to follow the late Gene Wilder, whose twinkle-eyed movie portrayal of literature’s most famous chocolatier remains etched as a candyman of definitive complexity, Johnny Depp notwithstanding. And Weisberg finds himself atop the first national tour of a Broadway show. Yet Weisberg — who does not have the kind of celebrity name that would have landed him this role in London or New York — is a big part of the reason why this tour works rather better than the Broadway original. Well, Weisberg and the addition of an on-stage display of Wonka candy that, in New York, was confined to the concession stand. 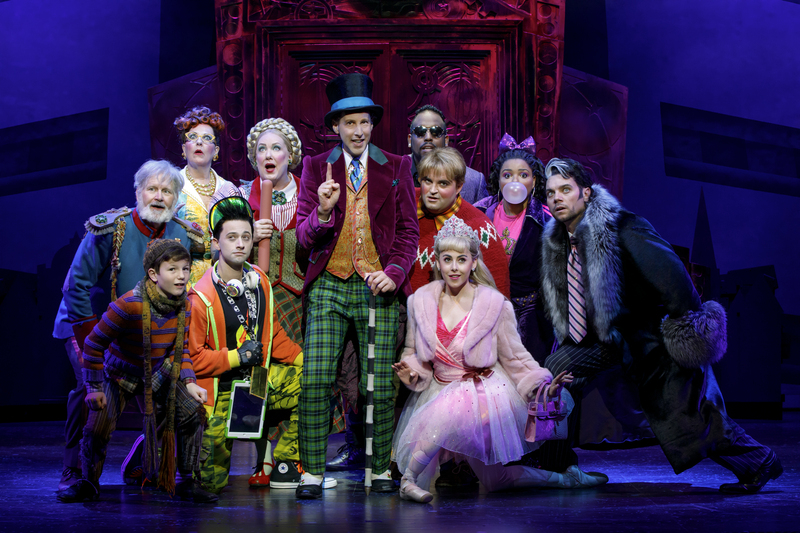 Wonka is an unusual figure, especially in a family musical. He has to be kind and paternalistic enough that you don’t worry too much about Charlie Bucket, the impoverished young man who wins a Golden Ticket and has to beat out Augustus Gloop, Veruca Salt, Violet Beauregarde and Mike Teavee to the grand prize, which is, in essence, to be a reincarnation of Wonka himself. But Wonka also is not an especially nice man: Roald Dahl, his creator, despised sentimentality and thus had no problem creating a figure fully capable of child endangerment, who was easily able to dispense of a nasty kid down a well-placed chute. Weisberg is true to that Dahl conception but also likable enough that you enjoy his company. He’s a fine physical comedian, an engaging actor and, if you spend some time with him, you’ll have the kind of complex fun that’s not so far removed from reading Dahl in your bedroom. The score — by Marc Shaiman and Scott Wittman — contains some lovely material on the theme of risky creativity (the closer, “The View From Here,” is among their best work) but has to compete with the songs by Leslie Bricusse and Anthony Newley that were made hugely famous by Sammy Davis Jr. Those numbers (“The Candy Man” and “Pure Imagination”) are in the show but apologetically so. It just doesn’t work, as Shaiman and Wittman set themselves an almost impossible task.